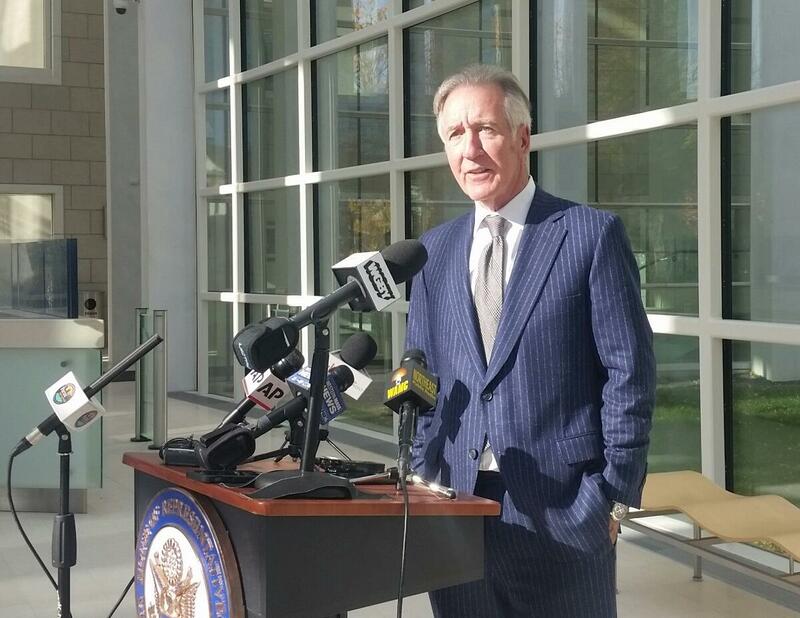 U.S. Rep. Richard Neal (D-MA1) spoke with reporters in Springfield the day after the 2018 election which put Democrats in charge of the House in the next Congress. House Democrats Thursday formally voted to make Massachusetts Congressman Richard Neal the next chairman of the Ways and Means Committee. When the new Congress convenes in January, the 30-year incumbent from Springfield will be one of the most powerful people in Washington, as chairman of the committee that oversees tax policy. Speaking with reporters in Springfield just after the November Election, Neal discussed his priorities. "For me, strengthening Medicare and Social Security would be priorities and compromising them would fall on deaf ears," said Neal. The Democratic caucus voted to name Congressman Jim McGovern of Worcester chairman of the Rules Committee, where all bills pass through before going to the House Floor.